AM I NEXT? 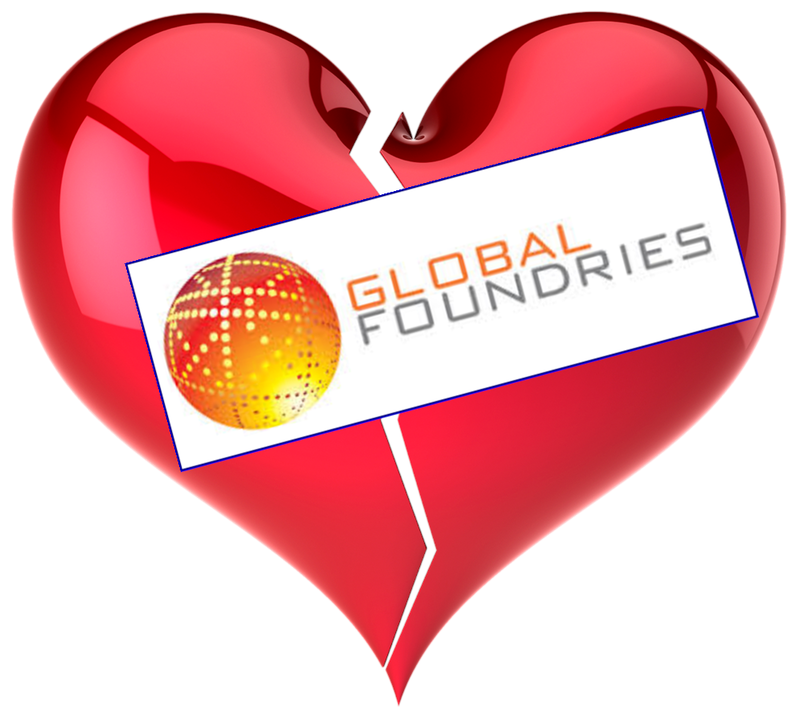 NO LOVE AT GLOBALFOUNDARIES — AM I NEXT? Sometimes the only way to win is to not play the game. It appears that the Santa Clara, California-based GlobalFoundaries, a manufacturer of semiconductor chips cannot keep up with competition and has announced the discontinuance of its next-generation chips. As a consequence of this shift in strategy, the company will lay off up to 900 employees worldwide and up to 170 at its Malta, New York manufacturing facility. GlobalFoundries said back on June 11 that it would target 5 percent of its total global workforce of 18,000 people for layoffs this month as part of a move to better compete with its rivals. Worldwide that would mean about 900 people, or about 170 people at Fab 8, which has 3,400 employees. "GLOBALFOUNDRIES today announced an important step in its transformation, continuing the trajectory launched with the appointment of Tom Caulfield as CEO earlier this year. In line with the strategic direction Caulfield has articulated, GF is reshaping its technology portfolio to intensify its focus on delivering truly differentiated offerings for clients in high-growth markets." "GF is realigning its leading-edge FinFET roadmap to serve the next wave of clients that will adopt the technology in the coming years. The company will shift development resources to make its 14/12nm FinFET platform more relevant to these clients, delivering a range of innovative IP and features including RF, embedded memory, low power and more. To support this transition, GF is putting its 7nm FinFET program on hold indefinitely and restructuring its research and development teams to support its enhanced portfolio initiatives. This will require a workforce reduction, however a significant number of top technologists will be redeployed on 14/12nm FinFET derivatives and other differentiated offerings." "GF is intensifying investment in areas where it has clear differentiation and adds true value for clients, with an emphasis on delivering feature-rich offerings across its portfolio. This includes continued focus on its FDXTM platform, leading RF offerings (including RF SOI and high-performance SiGe), analog/mixed signal, and other technologies designed for a growing number of applications that require low power, real-time connectivity, and on-board intelligence. GF is uniquely positioned to serve this burgeoning market for “connected intelligence,” with strong demand in new areas such as autonomous driving, IoT and the global transition to 5G."